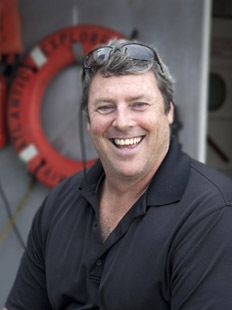 Since joining BIOS in 2012, George has overseen the safe operation and navigation of the R/V Atlantic Explorer and its crew. George coordinates the science logistics of the ship with researchers and BIOS marine technical services personnel, and provides the leadership and guidance required for successful science cruises. Following each scientific cruise, he completes a post cruise assessment and provides all the information required to complete NSF ship utilization reports.